The traditional morning announcements followed, as each faculty member and student began by saying “I wish I was a senior!” accompanied by seniors cheering enthusiastically. All in all, the morning went amazingly well, and left the entire student body energized and ready for a terrific first day. 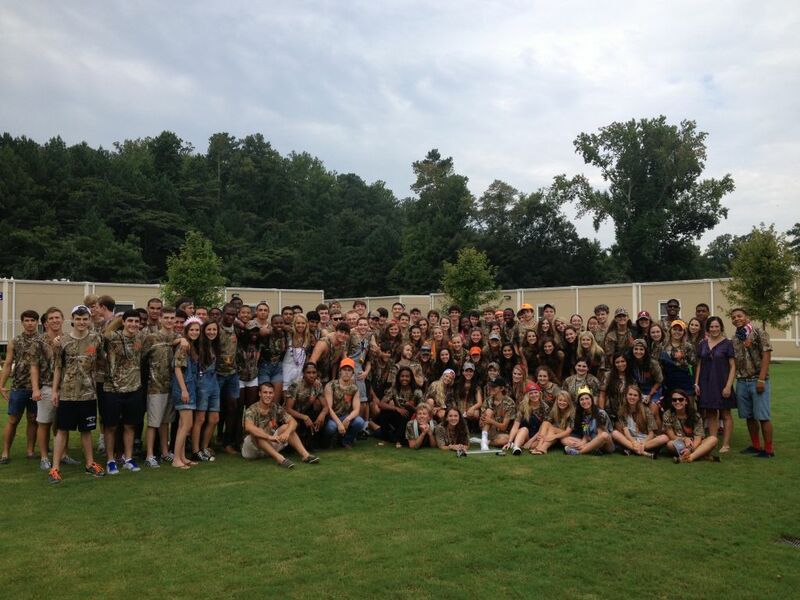 By some accounts, the senior class chose the theme “Trailer Trash” because they don’t get to spend a year in the new Upper School, but instead graduate from the Academic Village, or trailers, this year. Their senior cellar matches the colors of their T-shirts. The cellar was designed by senior Jaclyn Lund, and it could quite possibly be one of the most fun, creatively inspired senior cellars yet. Check out our Facebook page for more pictures of the first day! Get Us On Your iPads, iPhones, and Android Devices!